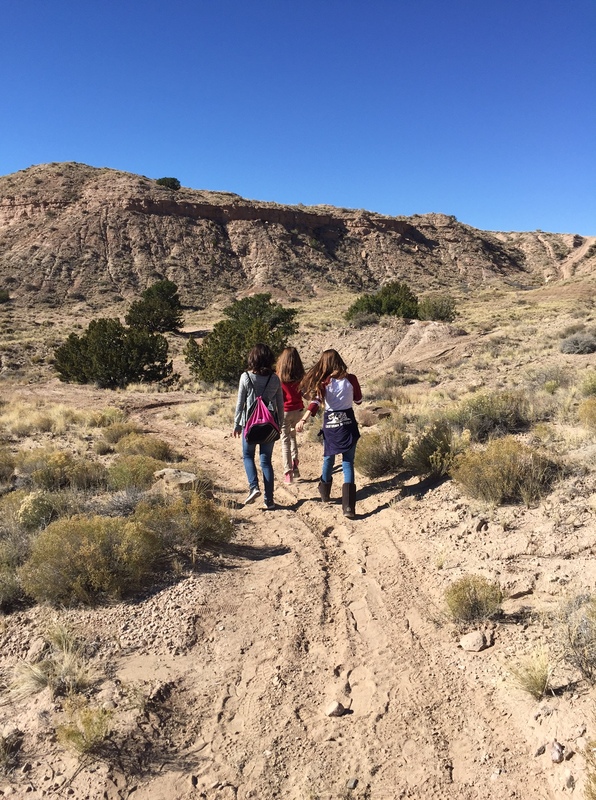 There’s one River Classroom that we haven’t blogged about yet this year, and that’s McCurdy High School! High schools students have many demands on their time, so this group meets once per month to explore different aspects of Earth Science. 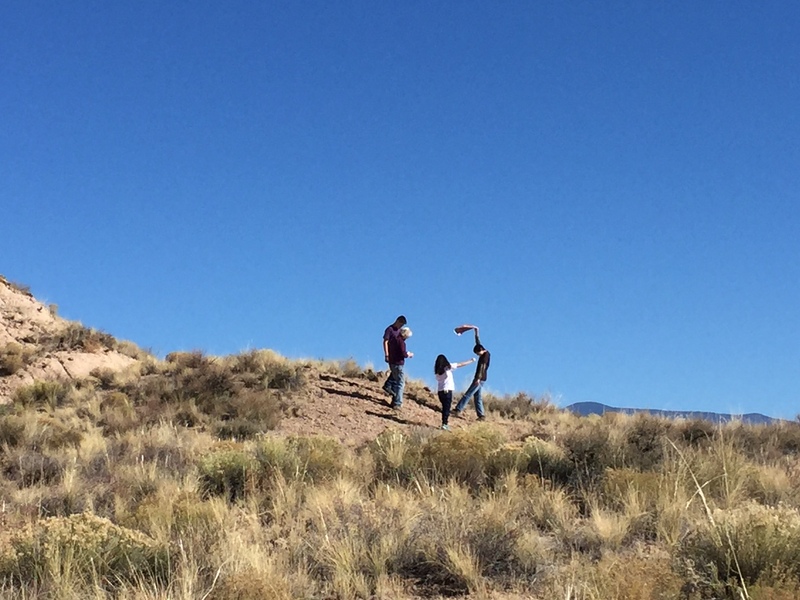 This month we headed to the Rio Chama to learn about riparian ecosystems. 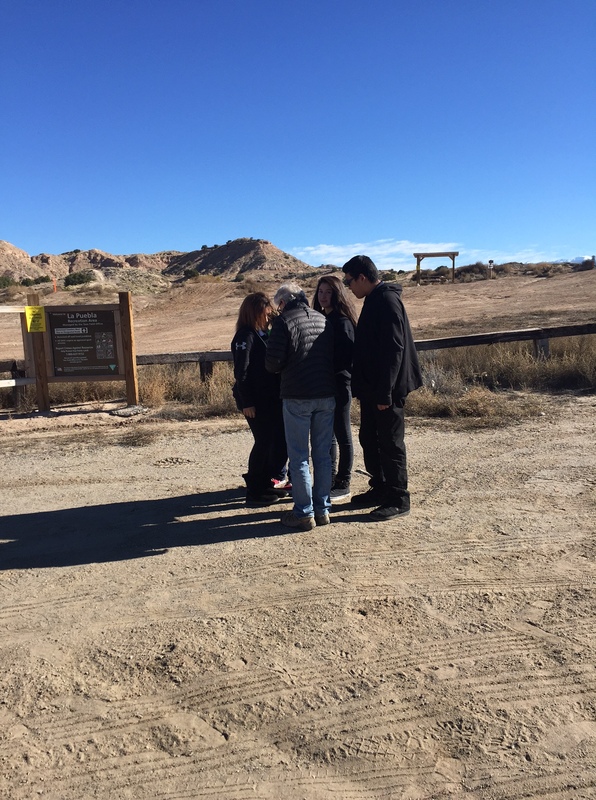 Many of these students had never been to the Rio Chama before, so we began by discussing the river, where it is, where it begins, where it ends, and where the water in the river comes from. To allow our students to explore the area a little, we discussed different types of maps and had our students create their own maps of our study area. After each student had explored the area and created a map, we set out the maps on a picnic table. The students circulated around the table and noted similarities and differences. Once we had a better grasp on the path of the Rio Chama we began collecting scientific data. One group worked on testing water quality (temperature, pH, turbidity, conductivity, nitrate levels, and dissolved oxygen levels), while the other group collected and counted benthic macroinvertebrates. The groups switched places so that all students got to collect both types of data and record it on their data sheet. We had a really wonderful day and collected a wealth of scientific data that lead us to conclude that while the Rio Chama at this location isn’t pristine, it’s not in bad shape in many ways. We look forward to our next adventure with these students! 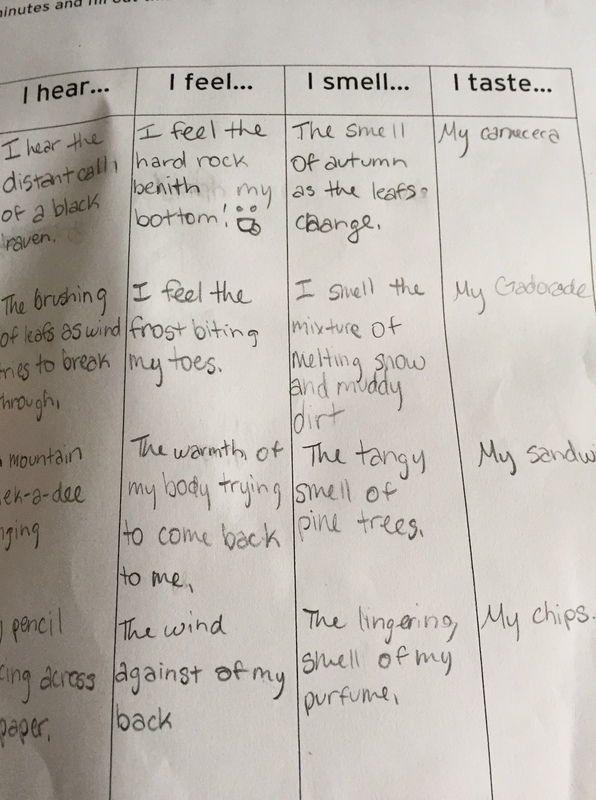 One very important, and sometimes overlooked, aspect of place-based environmental education is learning what kinds of animals belong in the ecosystems in your area. Last week we addressed this with the 7th graders at McCurdy Charter School by bringing them to NMWC. We discussed why these animals are here and on exhibit (either because they have an injury that prevents their release or because they are imprinted). We took an up-close look at a few birds and discussed what adaptations make them able to live here and why. Testing our hand strength to see if our hands are as strong as eagle talons. The students also got to meet our bull snake, Basil, and see how he compares to a rattlesnake. Checking out the flammulated owl. This particular student has been begging to see our grey fox all year. Taking photos of our bald eagle, Maxwell. This group of students has been begging to come and tour NMWC all year, and we were excited to give them the chance. 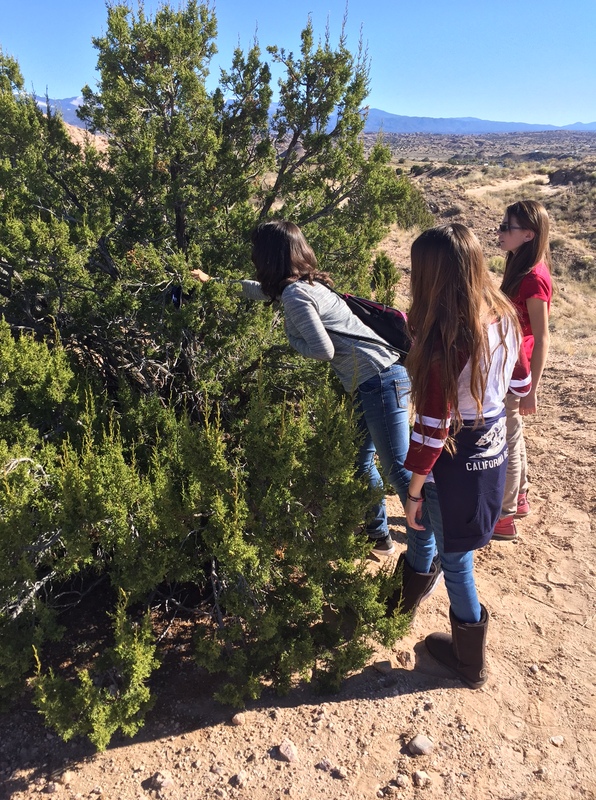 We’ve spent the year teaching them about the ecosystems around them, and after getting to meet some of New Mexico’s wildlife, we think that these students are more committed than ever to protecting these species. It’s been a bitterly cold weekend/week in New Mexico, but we didn’t let this put a damper on last Monday’s science exploration. 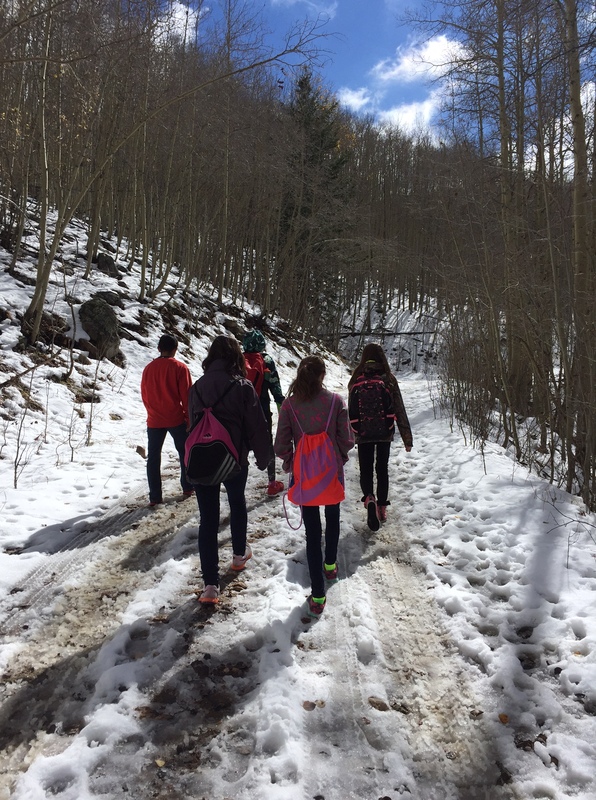 We donned snowshoes and explored the Santa Fe National Forest around Truchas with half of the 7th graders from McCurdy Charter School. 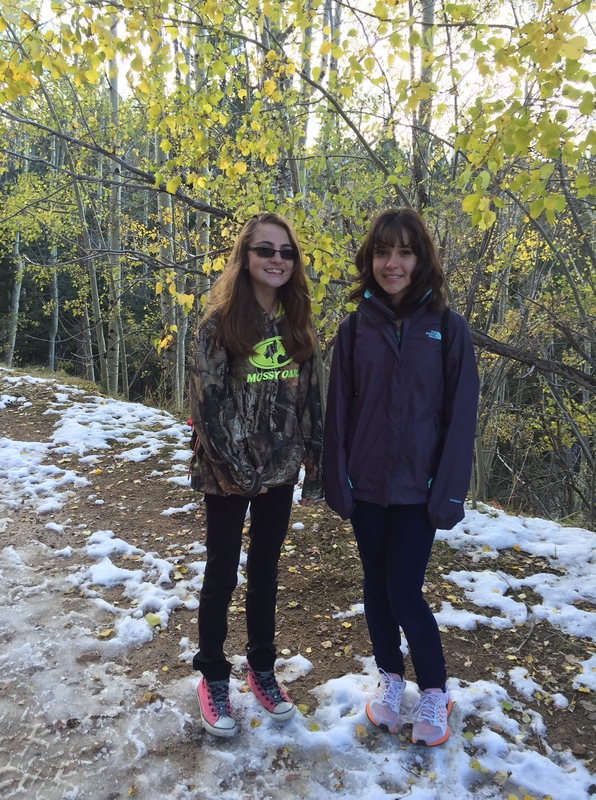 For most of these kids it was the first time they’ve worn (or ever seen) snowshoes! Man, these things make my feet look big! Wait… how do I put these on my feet? With a little help from their friends, our students got the hang of it. 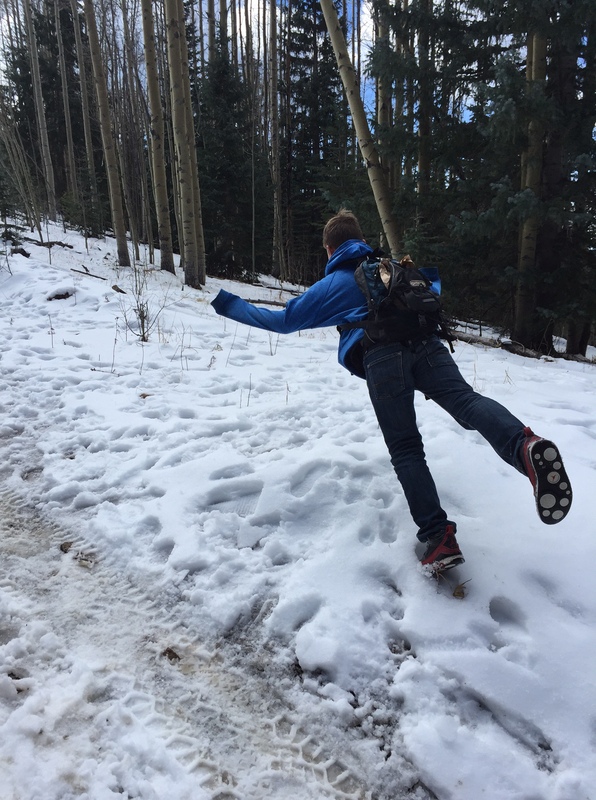 A big part of the trip was simply learning how to move around in snowshoes. It’s a very different form of winter transportation. Getting a little advice on staying warm from the expert. 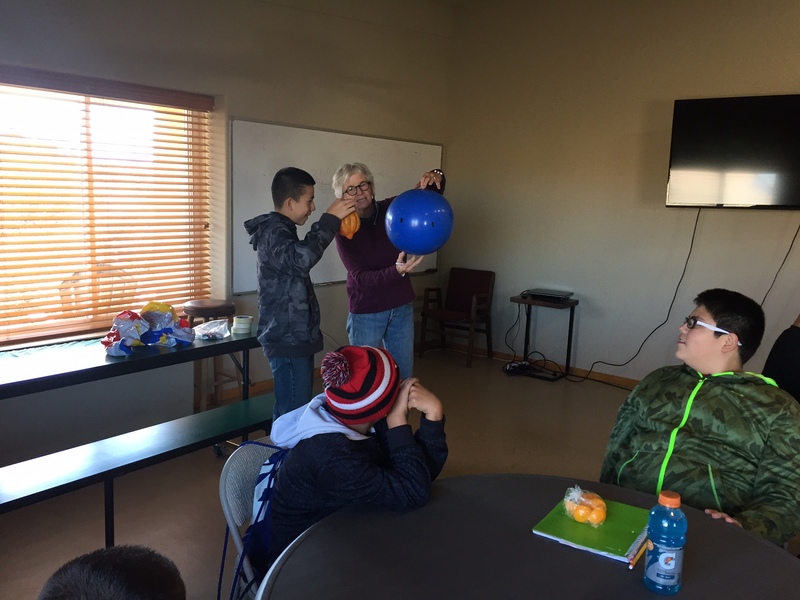 Once everybody got the hang of walking in snowshoes (or at least after everybody had their fill of falling down in the cold snow), we moved on to the science topics of the day. Mouse tracks running from hiding spot to hiding spot. A cohesive layer of snow, thanks to the sun. Of course, we also spent quite a bit of time simply enjoying the peace and solitude of the forest in winter. 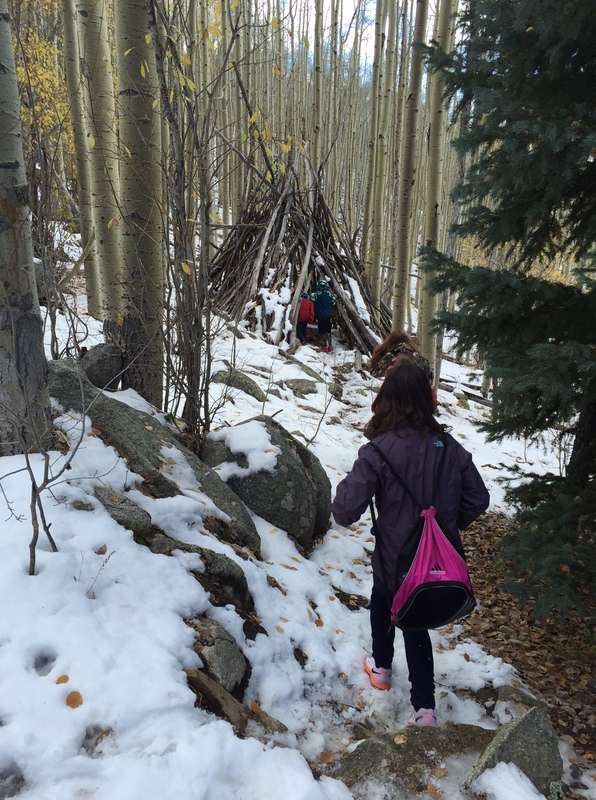 Despite temperatures in the teens, our students had a great time exploring the forest. After all of this hiking around, we enjoyed hot chocolate and apple cider before boarding the bus to return to school. We’re very grateful to our partners at PEEC for loaning us the snowshoes and making this trip possible! 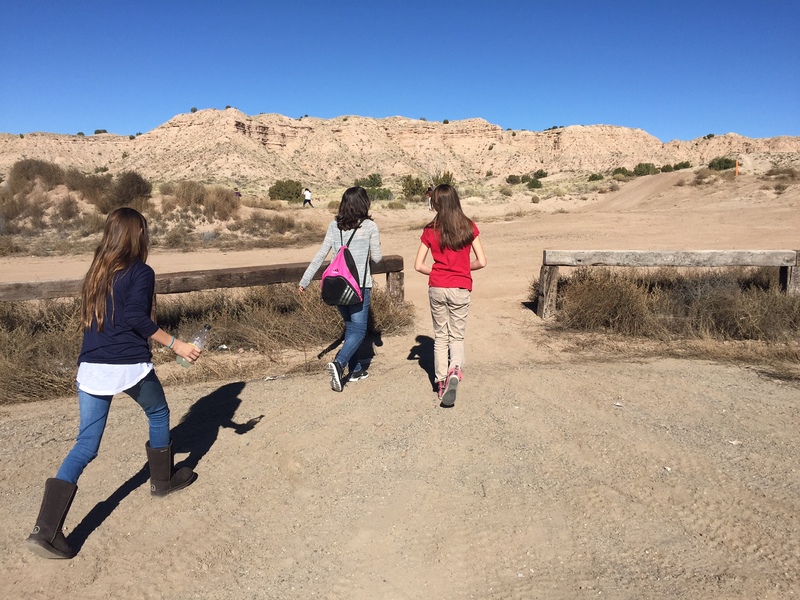 Yesterday was a prep day for a really cool field trip we have in the works for McCurdy Charter School’s 7th grade. The students practiced their tracking skills on campus! First, we held a short discussion about tracking. What kind of questions are we wanting to answer? Well, we would like to know what kind of animal made the tracks. It might be nice to determine how many of the animal were there, and ideally we can determine a direction of travel, if not a purpose. It’s very similar to solving a crime- what happened here and why? Since tracks aren’t very easy to come by on pavement, our students created their own. We secretly placed these across campus, and students had to explore to discover the track. 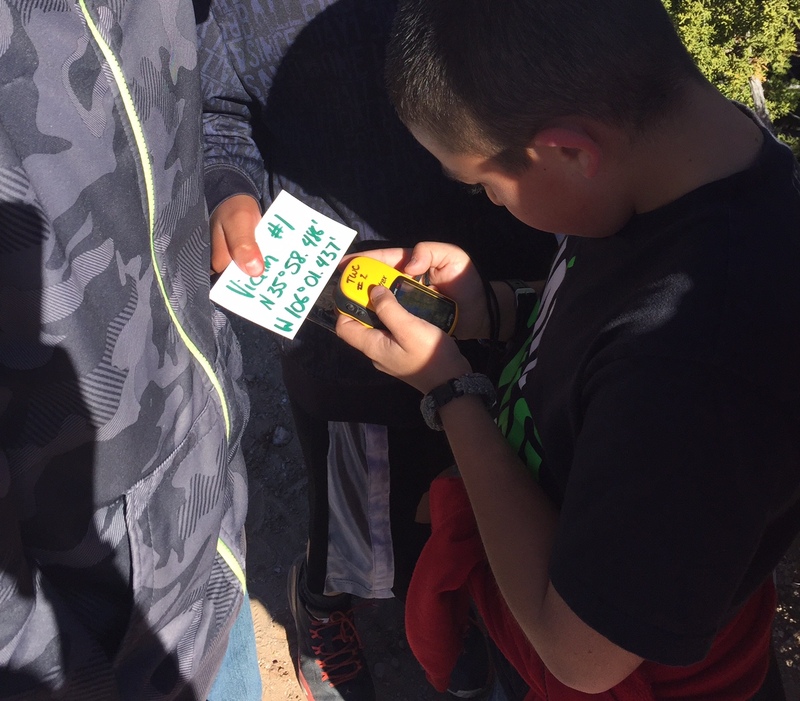 As we found tracks, students were responsible for recording the type of animal, the latitude and longitude of the track, and notes about the tracks (such as direction traveled, number of animals, and the animal’s purpose). Which way did it go!? We’re really looking forward to applying our tracking skills to tracks in the snow after the Christmas break! Taking accurate measurements of your location and the location of your data is a very important skill for scientists to have. How many people actually understand why the GPS on their phone works? On Monday we addressed both of these concerns with our excellent 7th graders from McCurdy Charter School. We began at NMWC by discussing latitude and longitude and why these concepts exist. 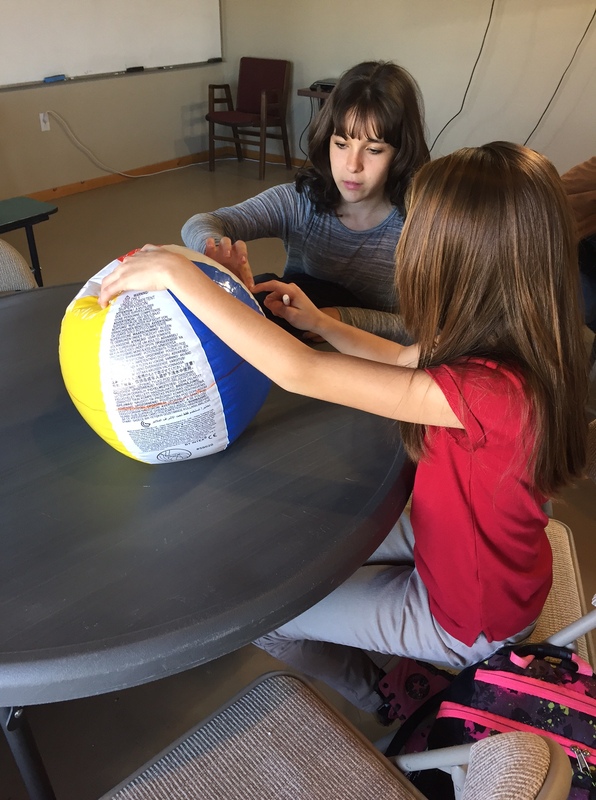 The students constructed their own globes to get a better handle on the concept. After learning about latitude and longitude, it was time to save some “lives”! 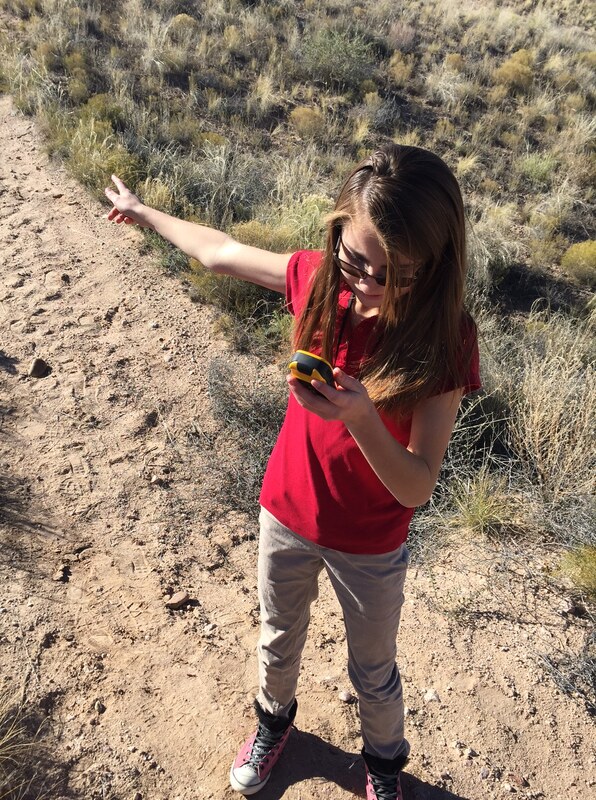 We headed out to an area of BLM land behind NMWC to use our GPS units to find some “victims” of hiking accidents. Each group had different coordinates. This “victim” ended up in a tree! Fortunately, thanks to our great group of students, all of the “victims” were successfully recovered by the end of the day. I think these guys will make a great SAR team… as soon as they graduate from high school! 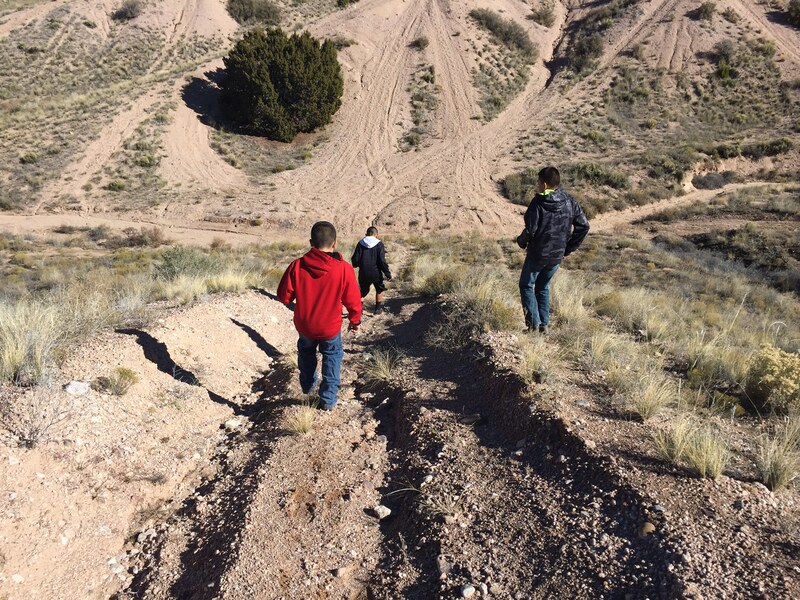 One of the goals of our programs at NMWC is to get students outside and having fun. 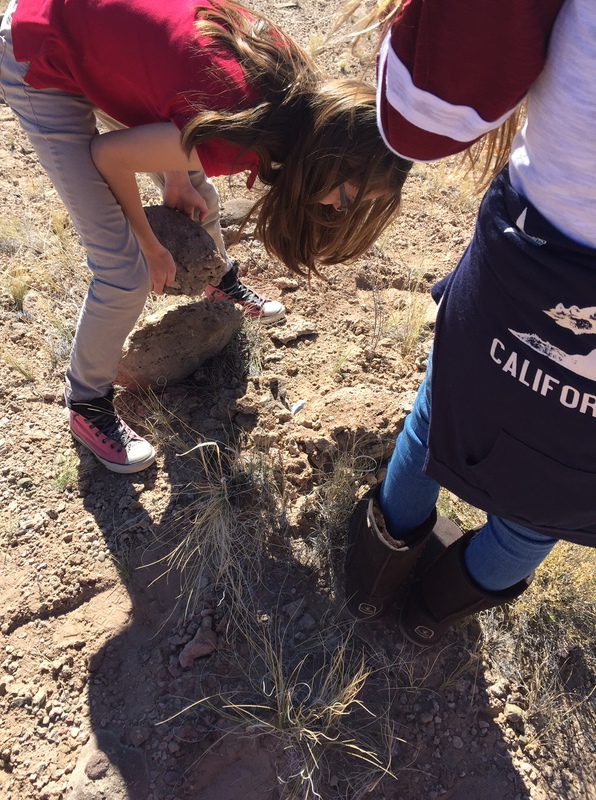 Observation skills are a very important part of science, and sometimes taking students outside to a new place is all you need to get them thinking about and observing the world around them. 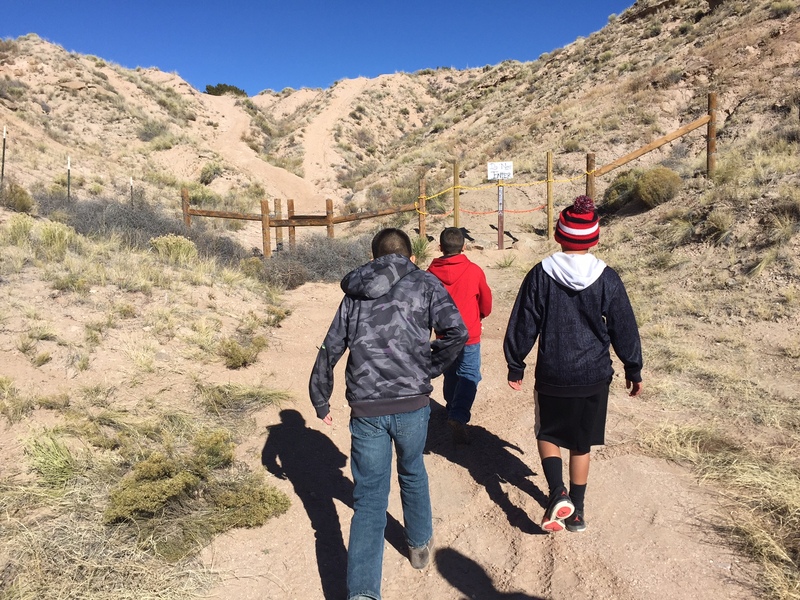 Last Monday, the 7th graders at McCurdy Charter School took an adventure to the Santa Fe National Forest. 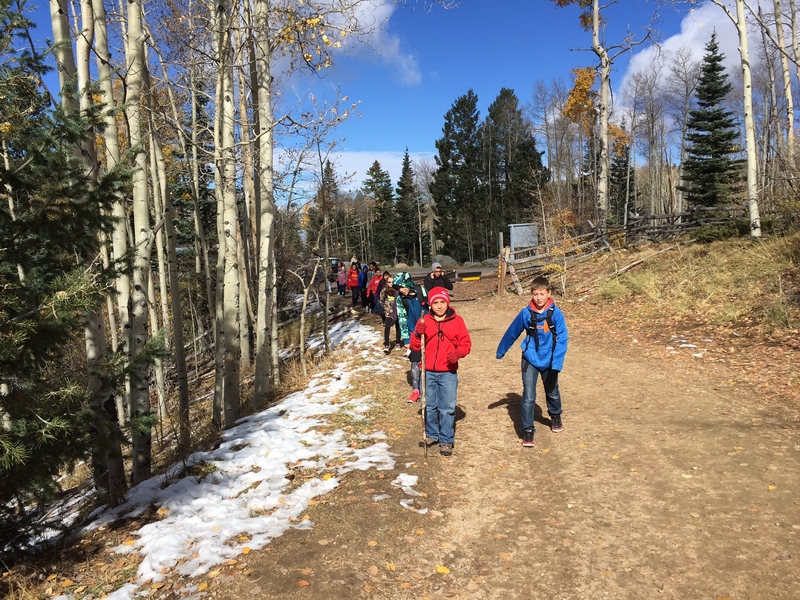 We hiked on the Aspen Vista trail and learned about aspen ecosystems. Aspen are a really neat species. Not only do they spread in a really interesting way, through rhizomes, but this trait means that stands of aspen are the largest individual organism on Earth. Additionally, they recover well from wildfire and avalanche. 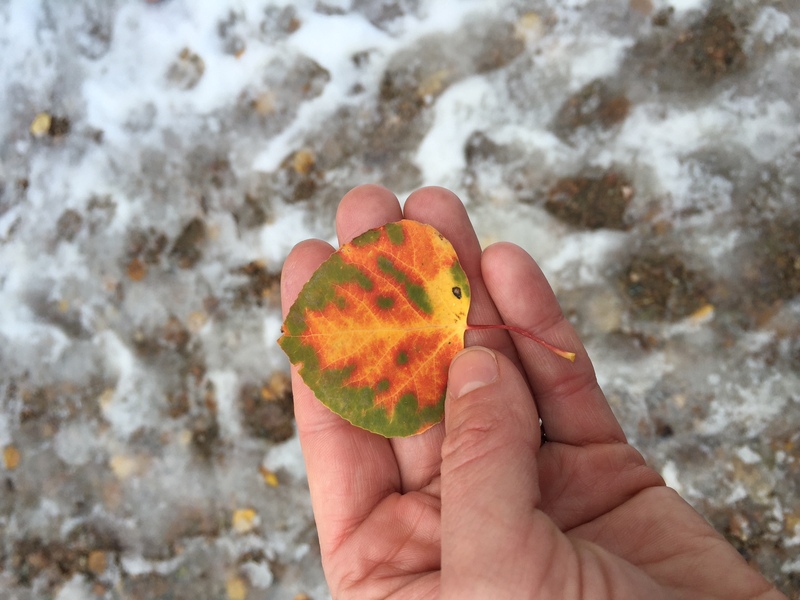 While we’ve already had our first snowfall in the Sangre de Cristo mountains, we still observed some gorgeous fall colors in some of the aspens. While we were out and hiking, we discussed the different types of evergreen trees along the trail. 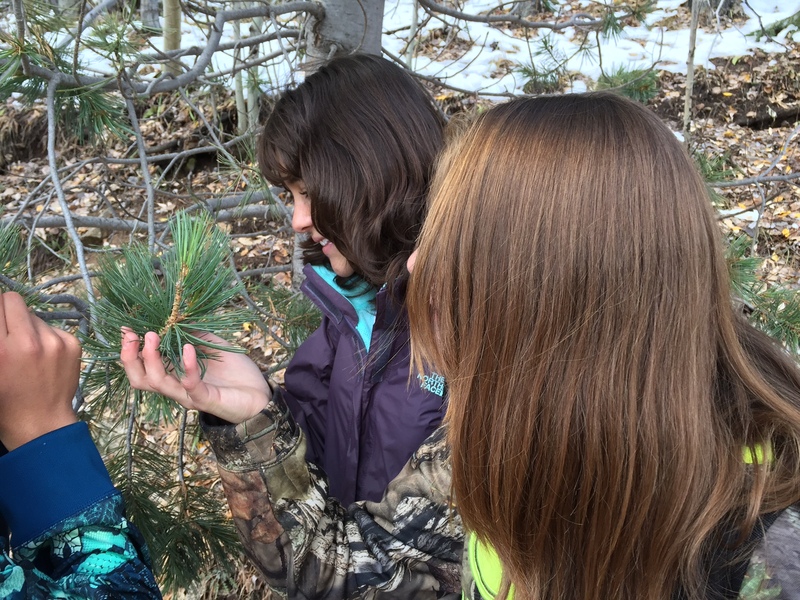 We identified fir, spruce, and pine. 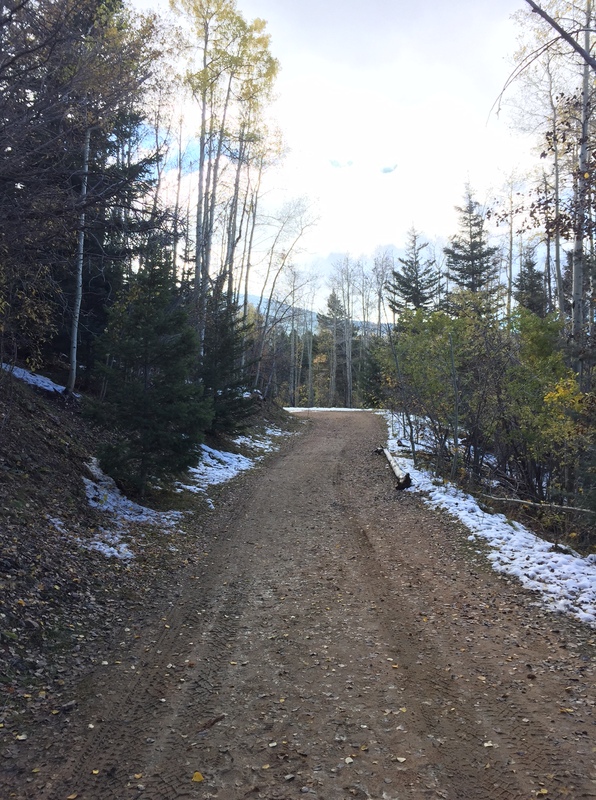 Of course everybody enjoyed the snow as we hiked higher up the trail. We found a neat spot to eat lunch. 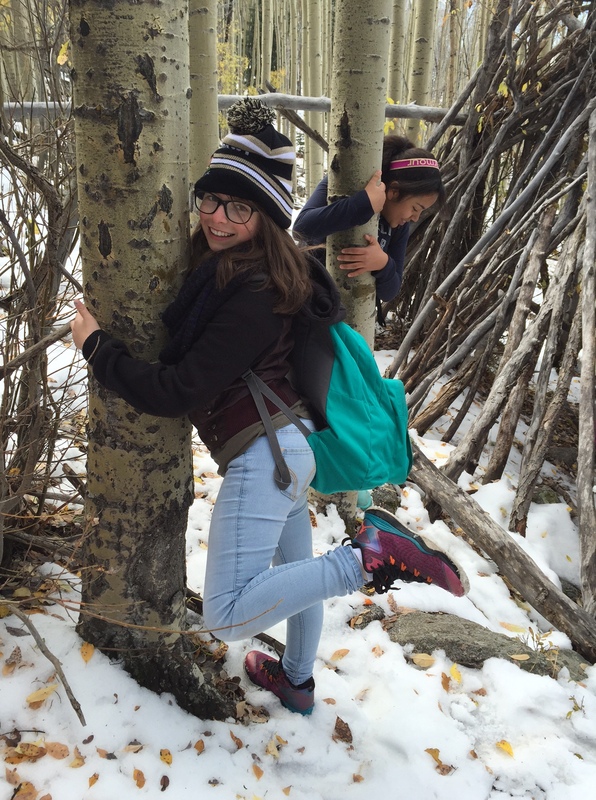 We love these aspen trees! After lunch, we continued up the trail a bit farther until we found a nice spot to sit and observe silently for 10 minutes. Ten minutes with no talking isn’t easy for a 7th grader. 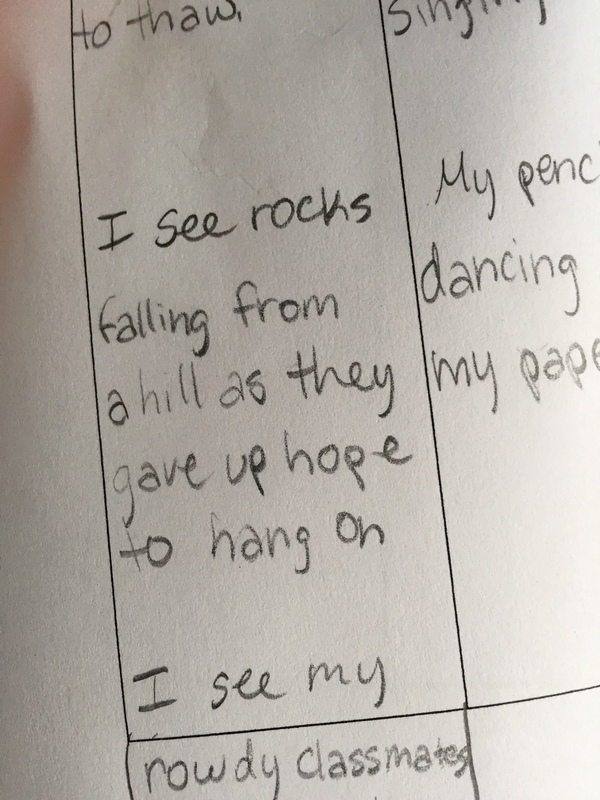 Our students made some fantastic observations. We had a fantastic hike and ended up accumulating 3.72 miles as we progressed up to 10,500 ft. 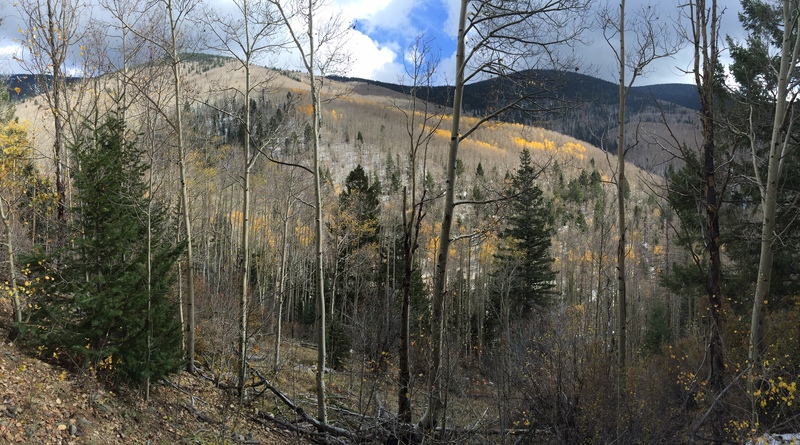 This is nearly 5,000 vertical feet higher than Española, and the students did a great job comparing the aspen ecosystem with that around Española. 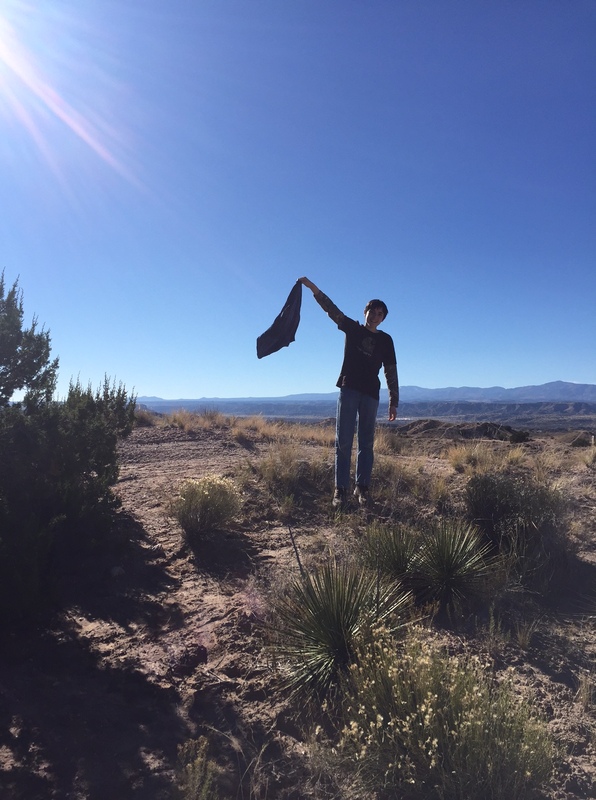 The variety of elevations and habitats is one of the characteristics that makes New Mexico so unique.